I first caught ear of the buzz surrounding the V&A museum opening a sister gallery or ‘outpost’ in Dundee when I was living in the city in 2008. According to Philip Long, the director of the V&A Dundee, the ‘V&A museum of Design Dundee will be an international centre of Design for Scotland – the first ever design museum to be built in the UK outside London‘. As the ground was broken in a ceremony recently to mark the start of the construction of V&A Dundee, I wondered, what will the future of the Dundee I know and love be when all the works in the Dundee Waterfront development are completed? The area of ground where the old dockyards were, filled in during the last re-development of the area in the 1960s, has undergone dramatic change already. The old Tay Hotel is newly loved again and in use, with Malmaison opening the doors to the carefully-restored listed building last year. And as work takes shape to draw out the park and garden area that will sit at the centre of the area, where once a tower block and a tangle of roads and overhead walkways stood, the area is certainly being completely transformed. Dundee is known for its industrial history of Jute, Jam and Journalism, but in contemporary times it’s becoming equally well known for its creativity, design and gaming industry. The cultural quarter is a hive of creative ideas, a melting pot for people working in a variety of the creative industry. Dundee Contemporary Arts, The Rep Theatre, the art school, Dundee University, and a thriving digital design sector and collaborative spirit, are just the tip of the iceberg for Dundee’s potential. Just this year Dundee was awarded the title of UNESCO city of design. What better location to house the first design museum outside London? The V&A Dundee’s mission to inspire, made the beginning of its journey on March 5th this year, with the breaking ground ceremony for the V&A Dundee building. This ceremony marked the culmination of a long process, and involved many different players in Dundee and London along the way. The University of Dundee, Duncan of Jordanstone College of Art and Design, was an integral player at the beginning, as were other partners involved. This partnership today also includes the Victoria and Albert Museum, the University of Abertay, Dundee City Council and Scottish Enterprise. In 2010, an exhibition at the Hannah Maclure Centre in Abertay University Dundee showed off the six shortlisted building designs to the public. The winning architectural design by Japanese architect Kengo Kuma and his team will be an amazing sight when it’s completed, bearing an uncanny resemblance to the bow of a ship, to my eyes anyway. The building has been given the tagline ‘living room of the city’ and it’s an ambitious vision. 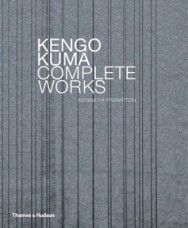 Kengo Kuma’s architectural practice, established in 1986, has its origins in Japan. In the glossy Thames and Hudson publication Kengo Kuma Complete Works Kuma has said that the way his design philosophy evolved around space and material owes a lot to the seven years of scratching out his living by doing smaller projects in rural areas of Japan during the recession years, just after the bubble burst in Japan’s economy in 1993. The response to light and the water of the riverfront of Dundee in the building designs for the V&A building show such sensibility for the area and the surrounding environment that I’m sure Kengo Kuma’s first building to be built in the UK will be a landmark building. The idea is that the V&A will join north and south through Design. This is an exciting idea and certainly one that I hope comes to fruition. A precursor for what you might expect to see in the V&A Dundee exhibitions, the Design in Motion travelling exhibition situated in a specially designed bus, has been touring round the country in recent months. 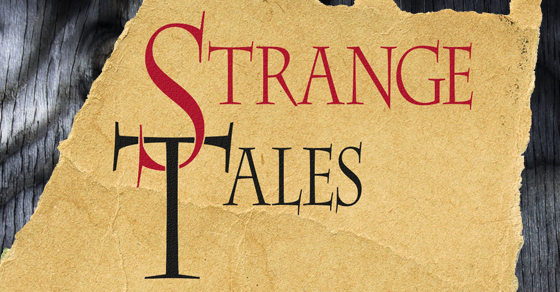 This is a lovely taster of the kinds of exhibitions we can expect to see. Gabrielle Underwood who trained at Duncan of Jordanstone College of Art and Design in Dundee, created the spatial and graphic design for the exhibition, which showcases the work of seven innovative designers. This fascinating work on display shows how designers today are currently working at the boundaries of their discipline with works that push into the areas of games design, jewellery and fashion. The designers include: Geoffrey Mann, Sophia George, Anarkik 3D, Sara Robertson and Sarah Taylor and Lynne MacLachlan. The designers have notable links to Scotland and some in particular with Dundee. Sophia George did her MProf in Games Development at Abertay University in Dundee and has developed a playfully wonderful game for iPad called The Strawberry Thief, using a William Morris design. The aim of the game is to draw out the design and fill it in with paint. However, you need to get the strawberry thief bird to collect strawberries first to be able to do this. It’s a truly elegant example of how technology can really bring to life and work with a design for wallpaper and fabric, which was created in 1883. Lynne MacLachlan on the other hand had a fascinating path to jewellery design. MacLachlan started out with a degree in aerospace engineering and then followed this by studying jewellery design at Duncan of Jordanstone College of Art and Design. You can see the shadows of the structural engineering side or the sense of flow of air over some of the forms in her designs. At the V&A museum in London, the designs on show that everyone is talking about are in the Alexander McQueen exhibition. McQueen’s fashion design lives on through exhibitions over the world, like the V&A exhibition Savage Beauty, and also in the publications that have been produced on him and his work. 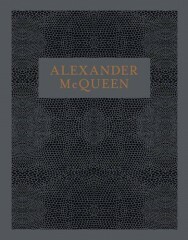 The V&A Museum publishes both hardback books, (most recently one on Alexander McQueen) and a magazine three times a year. Through the gaining of the title UNESCO city of design, Dundee can now align itself proudly with other cities with this title on the global stage: Beijing, Kobe and Nagoya, Bilbao, Berlin, Graz and Helsinki. William Morris said, ‘Have nothing in your houses that you do not know to be useful or believe to be beautiful’. If the building for the V&A Dundee is the ‘living room of the city’ and Dundee is its house, then I’m sure that the prospect of William Morris’s words will hold true for the city of Dundee. 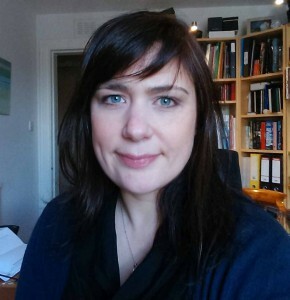 Louisa Preston is a joint Ph.D. candidate with the University of Stirling Centre for International Publishing and Communication and the University of St Andrews School of Management. Her research, associated with the Consortium for Research into Arts and Technology in Scotland (CReATeS), the Arts and Humanities Research Council (AHRC), Creative Scotland and Nesta, is investigating collaborations between arts organisations and technology partners. Focussing on projects, which experimented with digital technologies to develop audience engagement, she is looking at collaborative working relationships, producing practices and audience interactions around crossovers of digital and analogue cultural artefacts/experiences. Prior to embarking on the PhD, Louisa worked as an artist to develop national and international exhibition experience of individual practice and collaborative projects. Exhibitions, residencies and scholarships undertaken include; The Royal Scottish Academy’s John Kinross Scholarship; a research trip to Tokyo funded by the Arts Trust of Scotland and The Second Young International Bucharest Biennale 2006, partly funded by the Scottish Arts Council. Louisa has also previously worked as committee member of Generator Projects, an artist run gallery, Project Assistant for DJCAD Exhibitions Department and; Gallery Assistant Co-ordinator and Gallery Technician at Dundee Contemporary Arts.